Generaloberst, Commanding General of the VIII Army Corps in Stalingrad. 09-02-1944, of cancer, age 65, in Moscow prison. German war section of the civil cemetery of Kranogorsk, near Moscow. Abt 1-grave 77. 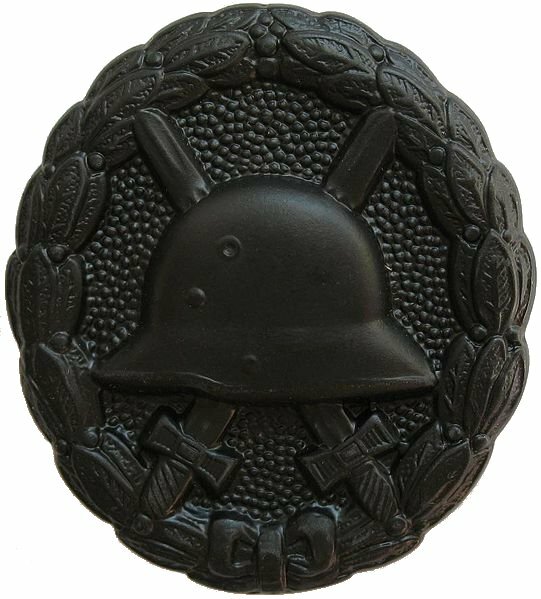 Heitz, Walter, born 08-12-1878 in Berlin joined the Army on 07-03-1898, age 19, with the 2nd Westpreußische Feldartillerie-Regiment Nr. 36 and was involved in the first war as a Hauptmann and Battery Chief. 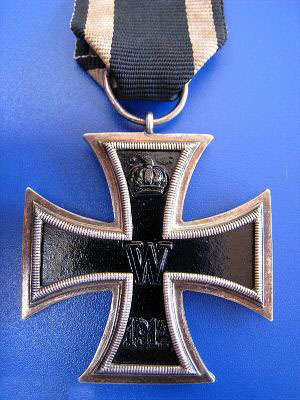 He was awarded with the Iron Cross 1st and 2nd classes, the wounded badge in black and the Preußischen Dienstauszeichnungskreuz, also the Ritterkreuz des Königlichen Hausordens von Hohenzollern with Schwertern also the Hamburgische Hanseatenkreuz . He was allowed in the new Reichswehr as commander of a Artillerie School. In 1931 he as an Oberst was the commander of Fortress Königsberg, and hold this command until 1936, meanwhile since 1934 a Generalleutnant. Walter Heitz was a convinced National System supporter and probable the reason that he was appointed as President of the Reichs War Court from 01-08-1936. In this position he was promoted to General of the Artillerie on 01-04-1937. Walter Heitz commander of the VIII Army Corps, here in Arras with Adolf Hitler as Hitler on 17-05-1940 visited his former 1914-1918 battlefields of the Western Front . At the beginning of World War II he was already sixty years old, without a command and ready for retirement. His request for a troop command for the expected war was rewarded to him, and after a period of 4 weeks commander of Danzig-West Prussia he was assigned as Commanding General of the VIII Army Corps, succeeding, General der Infanterie Ernst Busch, . He led this Corps for more as three years in the Western invasion in 1940 and from 1941 until 1943 in the Operation Barbarossa. This unusual long period was certainly because the Wehrmacht leading was very satisfied with his performs, but certainly also that he was to old for higher commands in the military hierarchy. 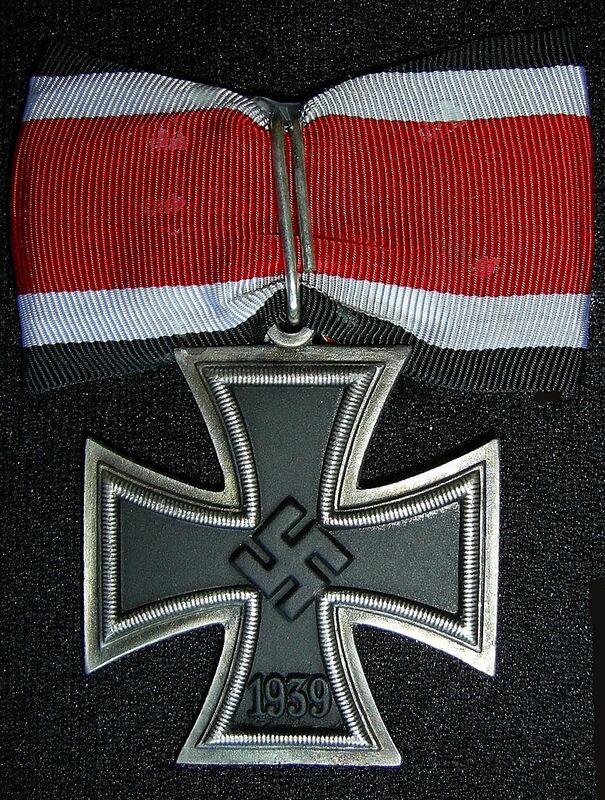 Though he had observed the planned river Oise crossing himself under heavy enemy fire, he on 04-09-1940 was awarded with the Knight Cross of the Iron Cross, but not promoted to Generaloberst in contrast with other Corps Commanders during the Western invasion. Heitz with his VIII Corps belonged to the 6th Army of Generaloberst Friedrich von Paulus and was also surrounded in the pocket of Stalingrad. Heitz was one of the most fanatic followers of Adolf Hitler, threatened with summary justice executions when his soldiers didn’t hold their positions and against defeatism. Even on 29-01-1943 his corps orders were, anyone who capitulates is shot, the one who is waving the white flag will be shot, the one who doesn’t deliver the throw off sausage and bread, by the Luftwaffe, will be shot. Other Generals like General der Artillerie Walther von Seydlitz-Kurzbach already on 25-01-1943 had given his forces the opportunity to handle personal or to capitulate. On 31-01-1943 German soldiers who capitulated were shot in the back. As the end of the pocket was coming and von Paulus was promoted to Field Marshal, Heitz still was promoted to Generaloberst, which rank he didn’t get in 1940. Heitz here with Günther von Kluge and Hitler even on 21-12-1942 received the Iron Cross with Oakleaves for his steadfast in battle. Though he had ordered to fight till the last man, he himself, with von Paulus capitulated and landed in Russian captivity. He was transferred to Moscow, Russia as a prisoner of war, and was uncooperative with his captors. He on 29-01-1943 had regretted that he didn’t have search for a soldier’s death on the battlefield earlier. He in the prison camp turned up with a big amount of private property in contrast with the other Generals. Death and burial ground of Heitz, Walter. Heitz dissociated himself total from all contact with the National Committee Free Germany, under von Paulus and Seydlitz-Kurzbach here with General der Infanterie Rudolf Schmundt Hitler’s adjutant and even threatened to beat off any follower. After one year in prison Walter Heitz died of cancer, age 65, on 09-02-1944 in Moscow and is buried on the German war section of the civil cemetery of Krasnogorsk, Abt 1-grave 77, his neighbor there is Generaloberst Carl Hilpert who also died in prison. Wolfgang Linke from Frankfurt am Main visited the place and kindly sent me the grave photo’s. Cemetery and grave location of Heitz, Walter.